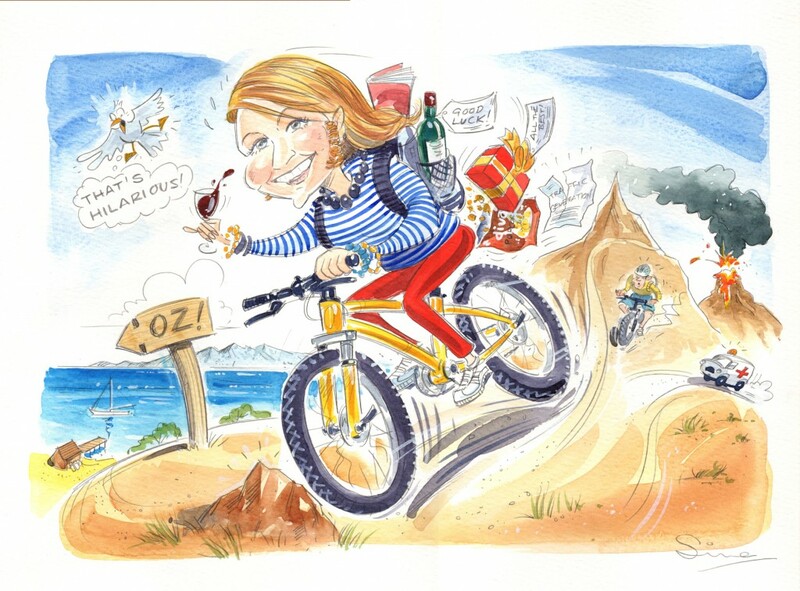 Maybe it’s a wedding in France – well, look no further! 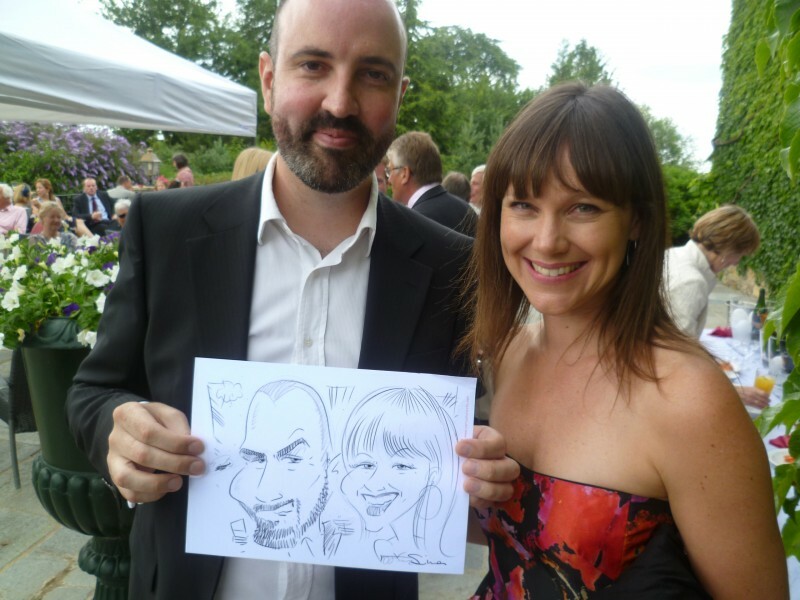 I’m a caricaturist based in the South of France with years of experience working at weddings, corporate events and parties across the UK and France. 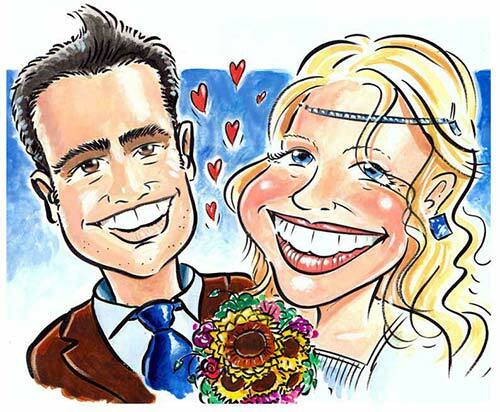 I’m often booked for a 2-3 hour session where I'll mingle amongst the guests doing quick caricatures which make unique mementoes of the special day. 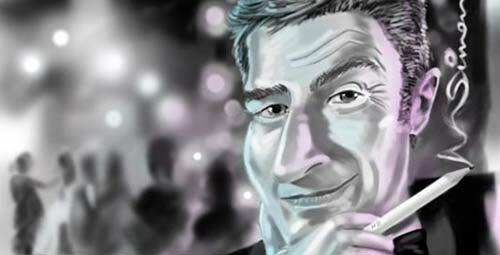 Hire me to add fun and humour to your event? 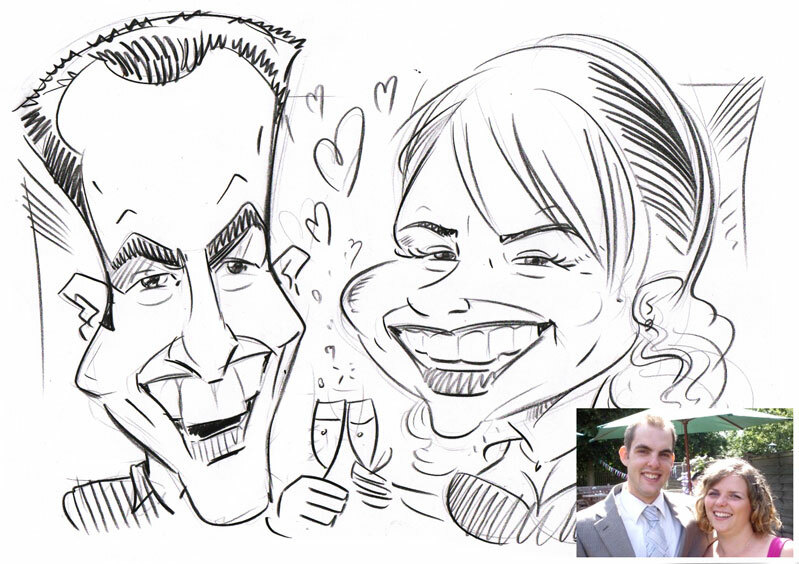 The champagne reception is always a good time to have Wedding entertainment – why not have a caricaturist? As the photographer takes those all important photos, I’ll be mingling amongst the guests entertaining them with quick caricatures. These will be given to them in a plastic sleeve as a personal memento of the day. Or, perhaps you would like something a little different at the evening part of the wedding. It’s always a great way of getting people laughing and entertaining everyone who’s not dancing the night away. 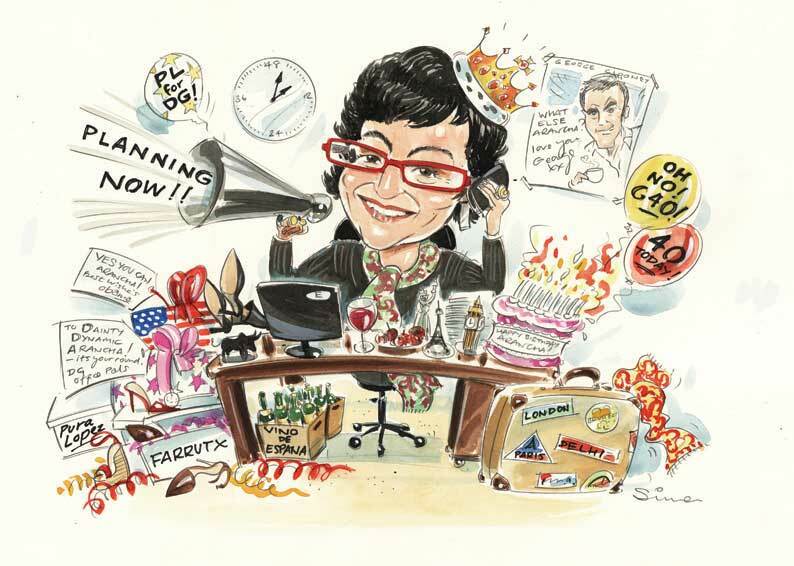 I could also put together a collage of the caricatures from the day which can then been printed out and framed as a wonderful memory of the day, or you could send me photos of the guests and I can put a special presentation picture together after the event. 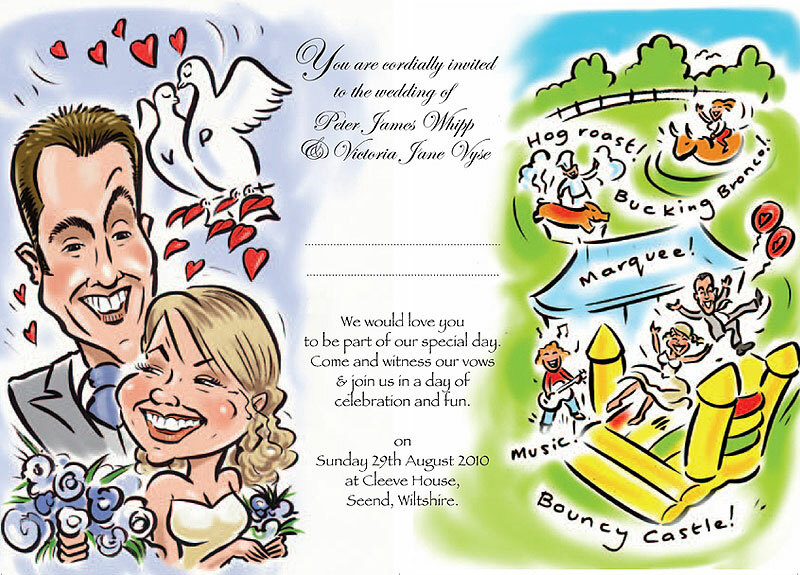 Invitations, Orders of Service and Thank you cards – all part of Wedding stationery for the big day. Why not carry a theme throughout? 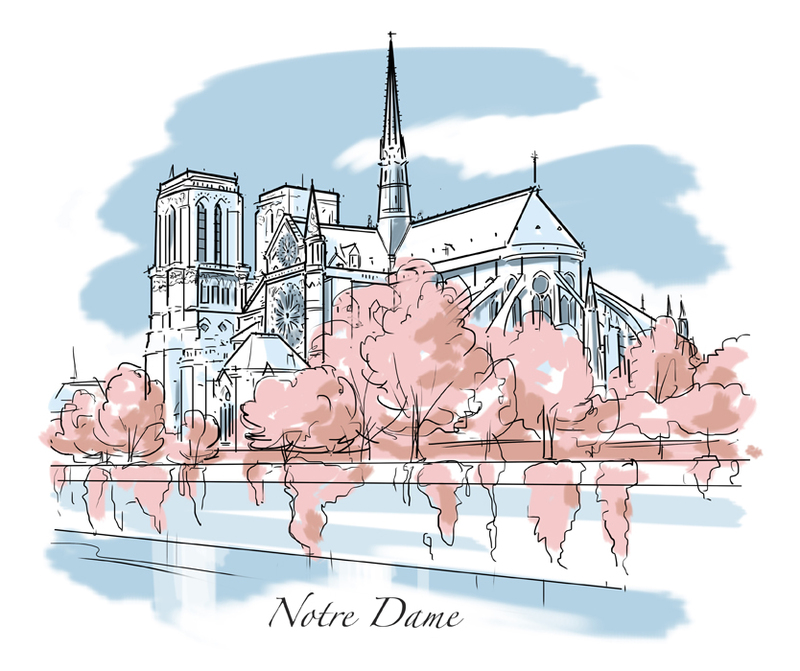 The style could be light-hearted or more stylised like the table cards for a Parisian wedding given away as prints after the day. 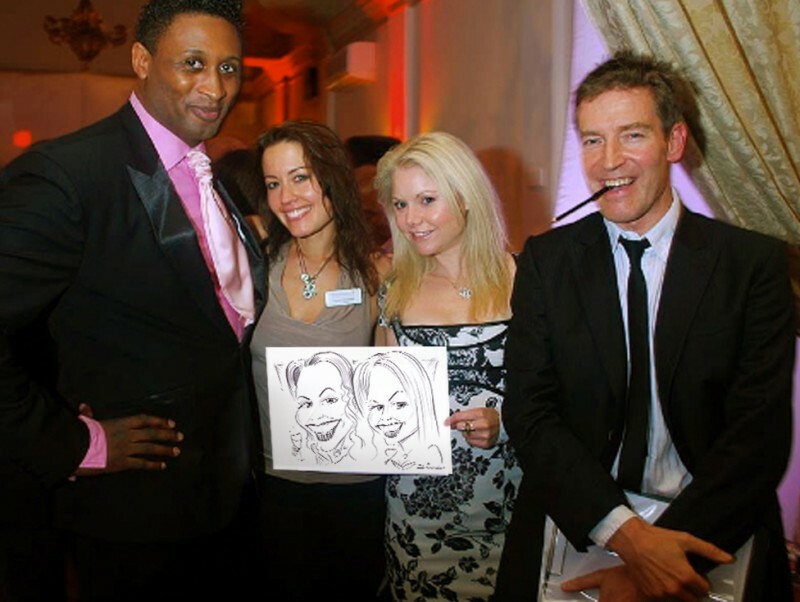 Parties – The perfect venue for drawing live caricatures. Whether it’s a large corporate event or an intimate dinner party, I love the interaction with the guests – always a great atmosphere. 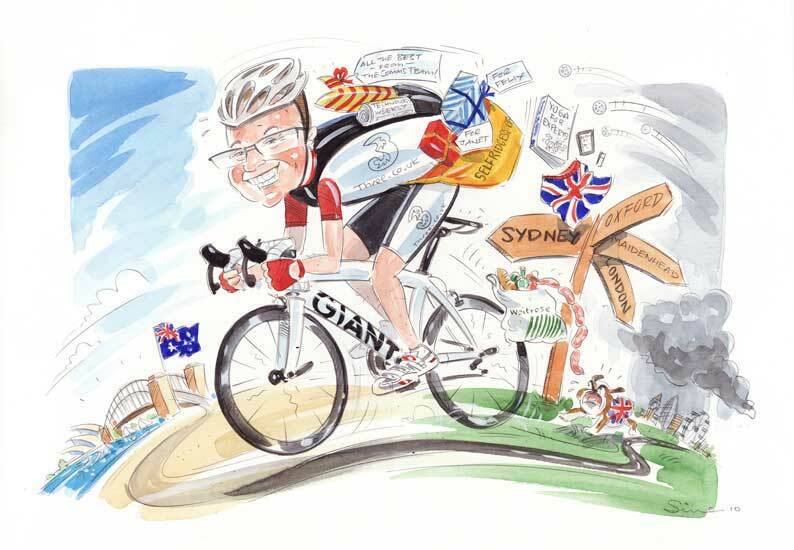 Caricatures also make perfect Personalised gifts. Simply send me a selection of photographs and a little background information as to their likes (and dislikes), and I’ll put a sketch together, email it to you and, once approved, I’ll render this in full colour. A3 sized originals.